Interview with Gabor Halmos from SARTORIALE | Keikari.com Interview with Gabor Halmos from SARTORIALE | On classic men's style, elegance and the beautiful life. GH: 45, I am the owner of SARTORIALE. GH: After finishing high school in Hungary, I moved to New York, where I studied Fashion merchandising and design at FIT. GH: I have two 2 boys (11 and 5), they’ve started sharing my interest in dressing and they are both very picky about what they wear, it can take some time in the mornings…They are also helping out in the office during their summer break. My wife always looks great and she „accepts” my clothing obsession and understands when family vacations turn into “business research projects“ (I need to see all the interesting shops when we travel). VR: …and your parent’s and siblings’ reactions back in the days when you began? GH: My parents couldn’t have a say. They are happy that I could make a profession out of my obsession. I have 4 younger brothers and they always appreciated the nice clothes they got from me. I love traveling and prefer the Mediterranean climate and the sea. VR: How did you first become interested in clothing, and when did you turn your eyes towards classic style? Why classics instead of fast fashion? GH: Growing up in Hungary in the 1980s there were not too many sources to getting great clothing, we often traveled to Vienna to see and buy quality stuff, well-made clothing. Trips to Italy at that time left the first impressions on me about classic style and sophistication, and watching old movies with Bogart, Cary Grant, Mastroianni had a big effect on me. I remember seeing Alain Delon in Le Samourai and Borsalino, he looked perfect, the definition of style. Later on, when I moved to New York this interest grew on me even more. When done well, classic menswear has a timeless appeal, think of Paul Newman, or McQueen, their style won’t look out of place today. I feel buying the latest fashion pieces is a waste of money. VR: How have you gathered your knowledge of the tailored look — from books, in-house training, workshops or somewhere else? GH: I was fortunate to get to know some of the best dressed men in New York through my work with Vass Shoes and SARTORIALE. 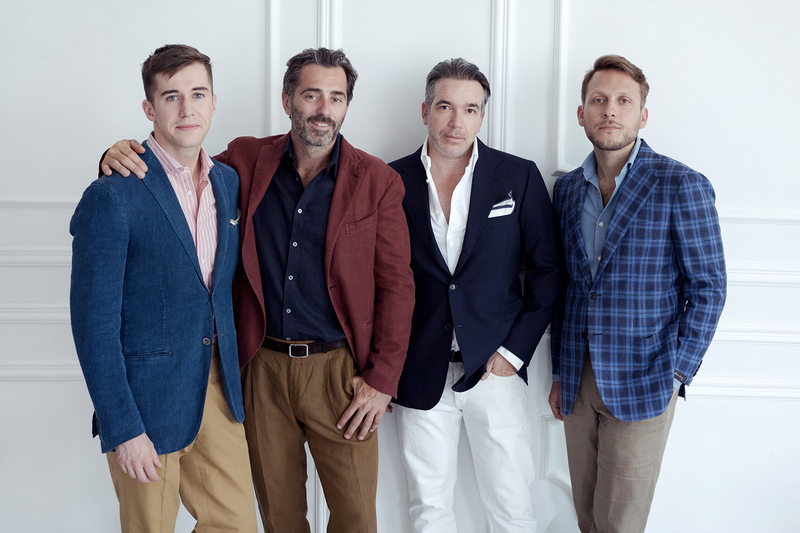 Two amazing lawyers: Ed Hayes and Paul J. Hanly have made a lasting impression, they are 2 of the best dressed guys in the world and I was lucky enough to get some vintage Savile Row pieces from them, which I had fitted for myself. I was fortunate to meet G. Bruce Boyer early in my career, he became a good friend over the years and always helped to define my way of looking at style, he is the nicest person you can meet, he has an endless knowledge of style, there was always something to learn from him. Dressing was so easy and effortless for these guys, no mystery, secrets, just put on the clothes you like and wear them, it is not a science and don’t take it too seriously, just enjoy it! I have learned a lot from books, and later online sources like Styleforum and sites like Keikari always have something interesting and new. VR: How would you describe your style? GH: What I put on mostly depends on my mood, fortunately I can wear what I want. A pair of nicely faded selvedge denim is a staple, which I wear mostly with long sleeve polo shirts or button-down collar oxford shirts and a handmade, tailored jacket, it has to be soft and draped; because of my build I love Rubinacci, and A&S, they are the most comfortable for me. For shoes: a pair of split toe derby, suede chukka boot or jodhpurs, or vintage US made boots, or something from my Vass collection, or from my finished shoe project Demeter&Halmos. I love vintage outerwear and mix them with current items. VR: Have you always worked with menswear? If not, what lead you to change occupations? GH: When I started out in New York I worked in the restaurants and hotels, I never loved it, but it was fun back then. 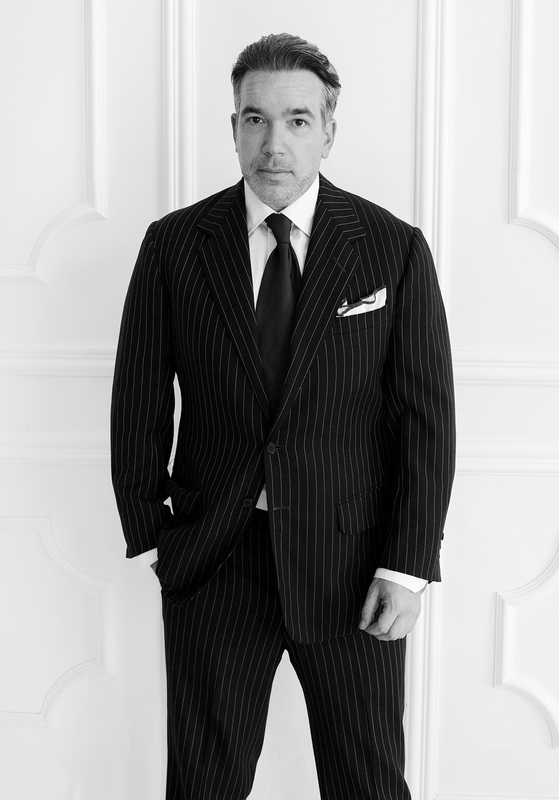 VR: When was SARTORIALE born, and what goals did you set for the company back then? GH: I was lucky to be in the right place, at the right time. The online business was completely new, there was room to grow. SARTORIALE was born in 2000, I started selling some of my old clothes on eBay, then I realized that I could make a business out of this. Started searching thrift shops in NY, they used to be ”gold mines”, later I was getting consignments of very high end bespoke pieces. With a friend we were the first to distribute Vass Shoes in the USA, placed them at Bergdorf, Louis Boston and some other high-end stores and got notoriety on Styleforum and Ask Andy. My apartment was my “warehouse”. Shoes and suits everywhere…I soon outgrew it. Then I started traveling to Napoli and source some of the best clothes: Kiton, Attolini, Rubinacci, etc. I am happy, that I have the finest crew in the world, a group of multitalented guys, I am very grateful to them! VR: How do select the makers you stock on the webstore? GH: I am always on the lookout for brands, makers who create products with character, integrity and honesty. These are mostly small, independent manufacturers, who make by hand. 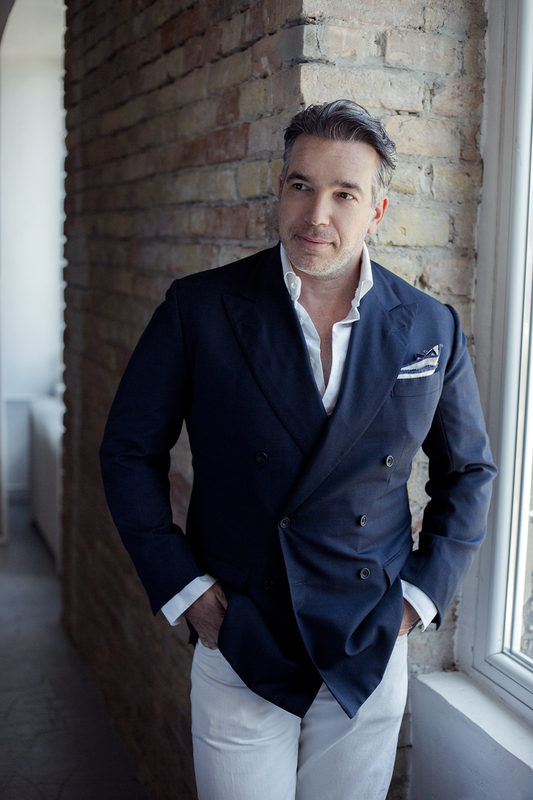 I am proud to offer items, which were never available before online like Sartoria Chiaia, Rubinacci London House, Ambrosi pants, Seraphin France for leather pieces and Mario Talarico’s amazing umbrellas. I always loved vintage clothing, 1960’s denim, vintage motorcycle jackets, riding boots, old Savile Row suits, etc. You can also find those on my site, along with one of a kind runway pieces from top fashion houses. VR: Why should my readers visit SARTORIALE.COM over other online quality outlets? GH: Possibly we have the best and most eclectic selection of handmade tailored clothing, shoes, accessories, vintage pieces and top fashion, which you cannot find in any other shop, online or offline, regardless the price. We take great pride to offer personal customer care, sizing and styling advise, timely deliveries from two EU and two US locations and an easy return policy. GH: My family, every day. GH: The expression of your inner self and the conglomeration of the material decisions you made. One can only lie about it, but it will show. I am so happy to hear all of your hard work panned out. I always knew you would be a huge success!